As a kid in the 90s, I grew up watching Nickelodeon and some of the station’s old favorites. Shows such as, “Spongebob Squarepants”, “The Fairly Odd Parents” and “Rugrats” were my life. As I grew older, I started to enjoy the live action television shows on Nickelodeon a little bit more. Shows including, “The Amanda Show”, “Drake & Josh”, “Zoey 101” and “iCarly” became my life too. Dan, as a kid, I had no idea that you were responsible for these shows, but I know now and I am extremely grateful. “The Amanda Show” was one of the first live action shows that I was introduced to and, to be honest, I found the show to be extremely weird in the beginning, so I didn’t watch it too much. But as time went on, I grew to love Amanda. I desperately wanted to be her. Plus, I loved the dancing lobsters. Admittedly, as a kid, I wasn’t allowed to watch a lot of your television shows. My mother made me change the channel whenever “Drake & Josh” was on. She never gave me a reason for not being allowed to watch it, but that didn’t stop me. I loved “Drake & Josh” so much that I was willing to get into trouble in order to watch an episode. The show was extremely funny and I was madly in love with Drake. 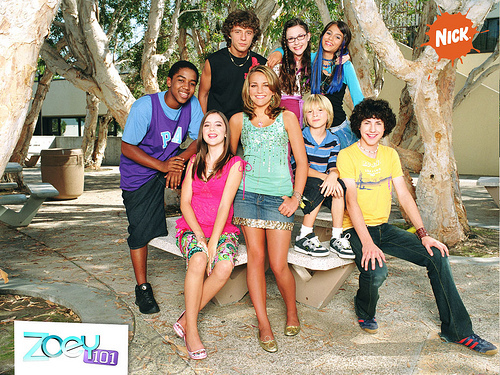 When “Zoey 101” first aired, I was instantly hooked. I watched every episode up until the end, just waiting and praying that Zoey and Chase would FINALLY get together. It took awhile, but they finally did. Now, ten years later, you have given us the gift of a small clip of what Zoey said about Chase in her video. This was like a dream come true. Even though I had forgotten about so many small details in the show, I remembered Zoey’s video from one of the early episodes. I stumbled upon the recent clip when a friend of mine shared it on Facebook. I may or may not have died a little from excitement. Even though I was older when “iCarly” came out, I still enjoyed watching it with my younger siblings. The show was incredibly funny, strange and quite enjoyable. Spencer, Carly’s older brother, constantly made me and my siblings laugh. So, thank you, Dan Schneider. Not only did you help create most of my childhood, but you helped create millions of other people’s childhoods as well. I didn’t just watch the television shows mentioned above, but also the show “What I Like About You” and the movie “Big Fat Liar”. My childhood was surrounded by your material, which helped entertain my younger self. I hope you continue to create wonderful shows for more children to enjoy. October 9, 2015 in Entertainment.